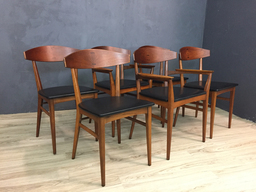 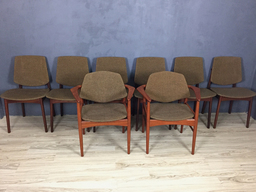 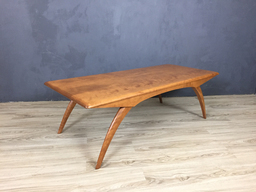 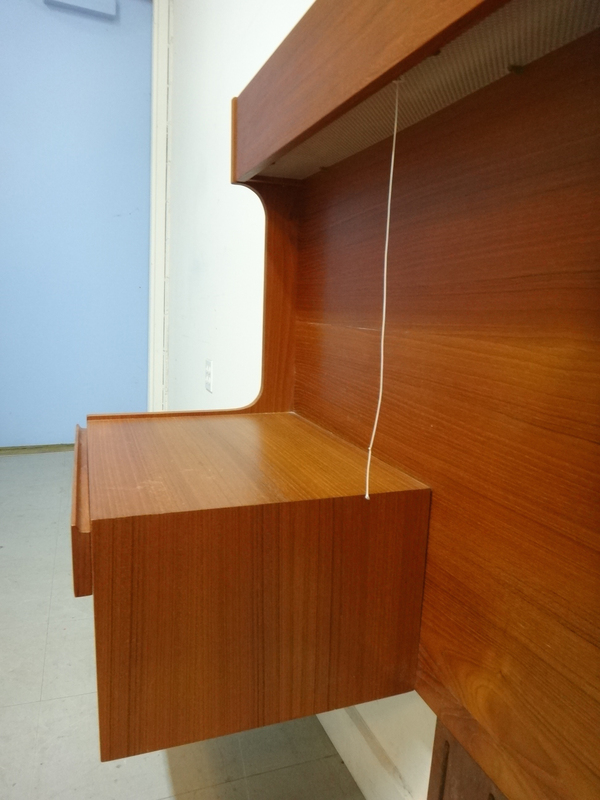 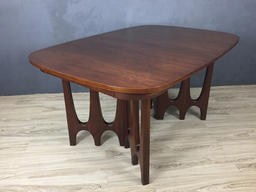 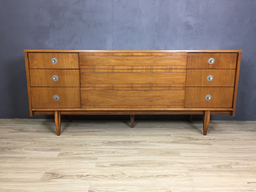 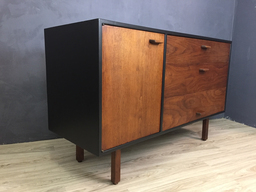 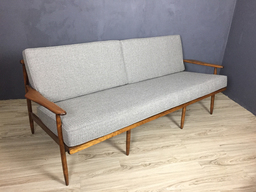 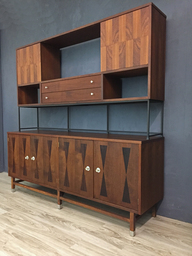 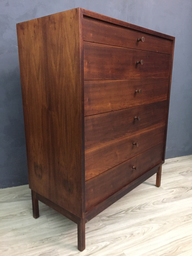 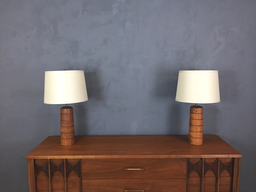 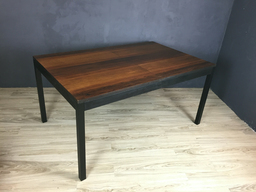 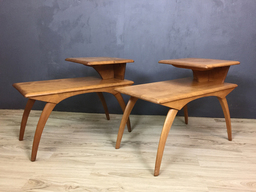 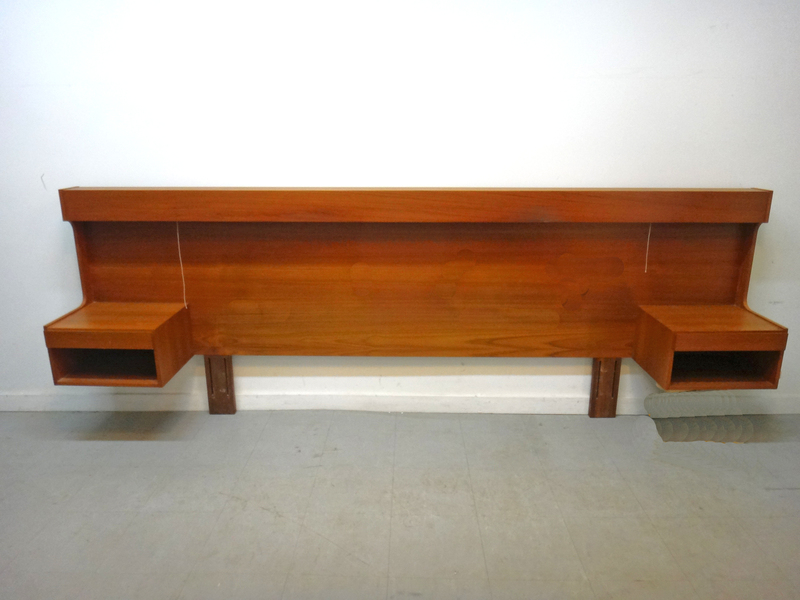 A very elegant and functional piece in teak which is in excellent condition. 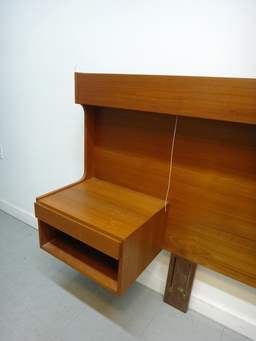 The legs attach to a metal bed frame. The night stands each feature a drawer and shelf compartment. 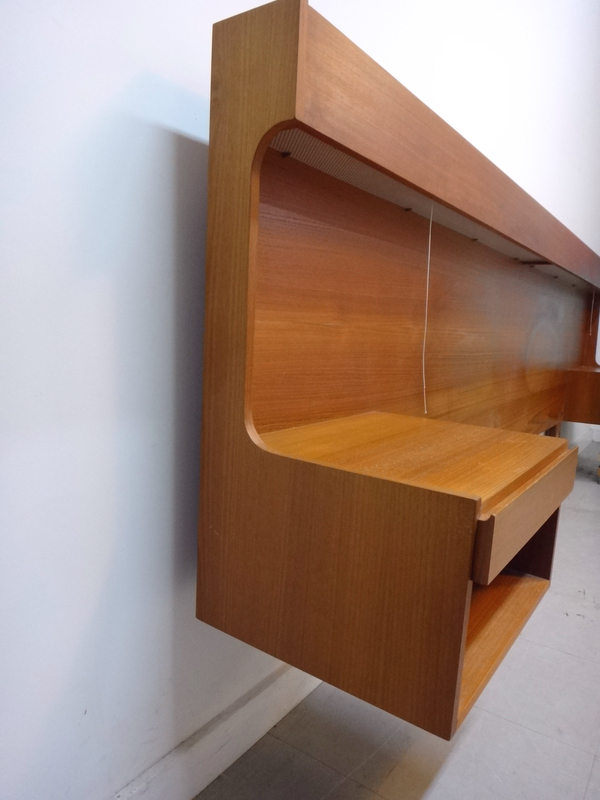 In addition, there are recessed lights hidden behind a grill on both sides with pulls.